A new EDM has been tabled in Parliament by Jeremy Corbyn MP calling on the government to acknowledge that the ongoing peace talks between the Turkish government and Kurdish leader, Abdullah Ocalan, offer the best prospect for a peaceful and political resolution to the conflict. It also urges them to revise its counter terrorism strategy and proscription of the PKK in order to remove one obstacle in the negotiation process. It is important to continue to pressure the UK government to acknowledge that by keeping the PKK on the terrorism list, they are blocking the possibility of the two sides of this conflict negotiating as equal partners. This EDM is one way of doing that. Now we need you to get in touch with your MP and urge them to sign the EDM! 15. In Taksim Square, Where Are the Kurds? 21. Turkey’s troubles: Democrat or sultan? 27. CENI Statement on the six-month anniversary of the Paris Assassinations: We demand Justice! BDP (Peace and Democracy Party) parliamentary group deputy chair Pervin Buldan spoke to Nuçe TV about the most recent visit she paid to Kurdish leader Abdullah Öcalan in İmralı prison, together with BDP co-chair Selahattin Demirtaş on 7 June. 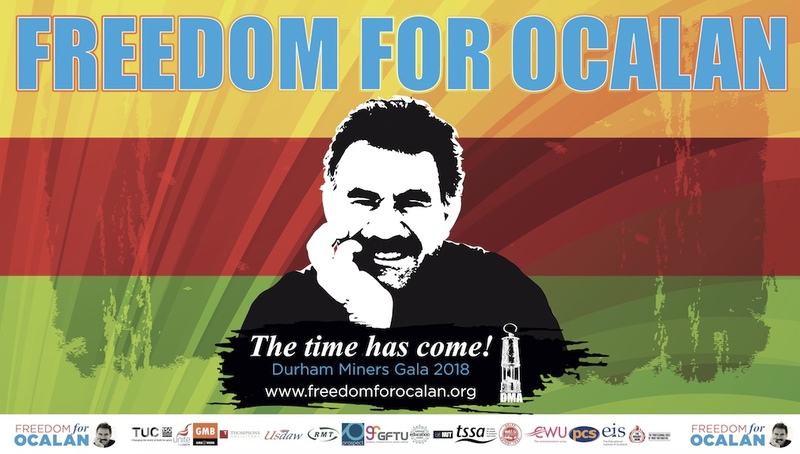 According to Buldan, Öcalan said it was time for the government to take steps as the first phase of the democratic solution process, the withdrawal of Kurdish guerrillas across Turkish borders and establishment of commissions, nears the end. Buldan said the Kurdish leader would make a comprehensive evaluation of the process after monitoring it within the next two weeks. Buldan said the Kurdish leader was in good physical condition, and that he had expectations from the ongoing process in search of a peaceful solution to the Kurdish question. In a statement today the PKK-associated Kurdish Communities Union (KCK) condemned recent police brutality in Turkey and called on the government to meet the protestors’ demands. It also said that the ‘democratic solution process’ it advocates in the peace talks is aimed at the democratisation of not only the Kurdish region, but also the entire Turkish territory. The KCK Executive Council Presidency said Kurds are supporting the protest movement, “shoulder to shoulder” with Turks, but that all must be wary of the involvement of nationalist and racist forces with agendas of sabotaging the peace process: “To strengthen the Democratic Solution Process, democratic and workers’ circles must be careful against the nationalist and racist powers that aim to sabotage this process and abuse the reflection of the people. KESK (Confederation of Public Workers’ Unions) is holding a two-day general strike across Turkey in solidarity with the Taksim protestors. “We will hold a strike, making a statement to the press to condemn the violence of those disregarding the freedom of expression and right to hold demonstration … We will collectively take to the streets as part of our demand for ‘Humane Life, Guaranteed Labor and Secure Life, A Democratic Turkey’,” said KESK’s statement. The strike began at noon today. KESK has been very active in supporting the Kurdish cause in Turkey and many of its members have been jailed in consequence. The United State of America announced in its 2013 report over world terror the Kurdistan Workers’ Party (PKK) a terrorist organization, despite Kurdish politicians efforts to convince White House to remove the party from its annual list, Milliyet daily reported. The US State Department’s report called the PKK as the deadliest terrorist organization in Europe and said it had continued its violent campaign throughout the year in 2012. Turkey Kurdish politicians among the Peace and Democracy Party (BDP) co-chair Selahattin Demirtas and Democratic Congress Society (DTK) co-leader Ahmet Turk attempted in separate visits to Washington to persuade the White House to remove the outlawed party from the list. The report also criticized the anti-terrorism law and said the limited definition of terrorism under Turkish law, restricted to activities targeting the Turkish state and its citizens, represented an impediment to effective action by Turkey against global terrorist networks, Zaman daily said. Quoting a US official Hurriyet daily said in its report that the US will remove PKK from the list if the party will be firm in its peace process with Ankara government. Taksim Solidarity called on the whole world to show their reaction to stop the police violence carried out by the direct order of the government, and to support the Solidarity of the people. Taksim Solidarity said that “Police violence that began at Taksim Gezi Park on the morning of the 14th day continues as of midnight.After the failure of the inept play of provocation staged in the morning by the police, the gas-bomb attack that the police continues as of now has led to hundreds of injuries -including many head traumas. All the animals and birds around Taksim Square are dying because of intense gas”. The Solidarity pointed out that the people and children in Taksim Square and Gezi Park continue their resistance, risking their lives to protect their dignity. The Solidarity indicated that birds and many other animals in and around the square have also been killed by the intense tear gas used by police against demonstrators. More than 50 lawyers have been detained by police at Istanbul’s Çağlayan Courthouse today for joining the Taksim Gezi protests, which have been ongoing across the country for 15 days now. A Special Forces Unit intervened in a protest being held inside the Çağlayan Courthouse, leading to a number of lawyers falling to the ground. Around 100 lawyers are now waiting in front of the police station demanding the release of their colleagues. This was the third such protest held by the lawyers to support the Gezi protesters in Taksim. Thousands of lawyers from bar associations in İstanbul, Ankara, Batman, Diyarbakır, Adana, Eskişehir, Bursa, Konya, Antep, Denizli, Aydın and İzmir have protested yesterday’s detention and beating of 44 lawyers in Istanbul Courthouse. Armored police officers intervened yesterday a group lawyers who were making a press statement on the steps of Istanbul Courthouse to protest the police violence in Taksim Square. Police detention took place as some protestor lawyer shouted slogans “Police out” and “Where is the prosecutor”. 44 lawyers have been detained by the police. Some lawyers have been reportedly battered with ripped coats and shirts. Police transferred detained lawyers to Istanbul Police Headquarters in Vatan Avenue. Detained lawyers have been released last night upon a prosecutor’s order. Turkey’s TV watchdog fined four TV channels over their live coverage of the Gezi Park protests in Istanbul, citing that the broadcasts were “harming the physical, moral and mental development of children and young people.” The Radio and Television Supreme Council fined private channels including Halk TV, Ulusal TV, Cem TV and EM TV. Halk TV has gained local popularity because of their 24-hour live coverage of protests in Turkey, as most of the mainstream media have been slammed for their lack of reporting on the protests in the country. As the unrest unfolded almost two weeks ago, mainstream Turkish media did not cover the violent police clashes, but instead broadcast nature and history documentaries, and cooking shows. The Peace and Democracy Conference in Europe will take place in the Belgium capital Brussels on 29-30 June and witness participation from Europe and Scandinavian countries as well as by the representatives of all ethnic groups in European diaspora, belief groups, political groups, left-wing, democrat and opponent groups and all other circles supporting the democratic solution process. The drafting committee of the Conference held its second meeting in Brussels on Saturday, following the first meeting on 19 May. The committee has finalized preparations on the context of the conference, including the topics to be discussed and the number of participants to attend the conference which has been increased to 300 due to great interest. In a statement on recent clashes in the province of Afrin, in western Kurdistan, People’s Defense Units (YPG) Command said that Turkish soldiers attacked the village of Mele Xelîl in Afrin late Wednesday. YPG Command pointed out that the attacks armed groups have launched against Afrin since May 25 are aimed at breaking the will of the Kurdish people, remarking that the people in the region have however displayed a strong resistance against the attacks targeting them. YPG said that “The armed groups which first attacked our forces in the villages of Aqîn, Basil and Zarat increased in number as of June 10 when they attacked Meresk and Kefer Mezê villages. The armed groups were strongly responded and defeated by our forces”. The Command remarked that YPG has strengthened its control as armed groups had to withdraw from the region after the clashes one day later. Members of the Supreme Kurdish Council (SKC), a body uniting Kurdish parties from Syria, went for their first official visit to Moscow on June 2 and met Russian Deputy Foreign Minister Mikhail Bogdanov in Moscow, despite internal differences between Syrian Kurds. Moreover, they visited the Duma (Russian parliament) on Friday [June 7]. Syrian Kurdish parties went to Moscow in order to secure participation of the Kurds in the international peace conference Geneva II. They did not participate in an earlier conference of the Western-backed Syrian opposition in Istanbul at the end of May, despite efforts of European countries to convince the Syrian Kurds to join the Western-backed coalition. One evening last week, just before six, members of the pro-Kurdish Peace and Democracy Party (B.D.P.) gathered in front of the high iron gates of Galatasaray High School, in Istanbul. They planned to march to Taksim Square, about half a mile away, where they would join a mass of protesters. In the square, a range of groups have joined together against Prime Minister Recep Tayyip Erdoğan, and their political and ideological diversity has been held as evidence of Erdoğan’s sweeping unpopularity. But, with some notable exceptions, Kurds, usually Turkey’s most robust anti-government protesters, had been absent. December of 2011, a group of 38 young Kurdish men were detected travelling through a smuggling route near the town of Uludere by an American predator drone. Not long after, a Turkish military jet flew over the same spot and dropped a bomb on the caravan. Of the group, 34 were killed. The attack was intended for PKK fighters, but the men — many of them teenage boys — were only civilians attempting to smuggle gasoline from Iraq into Turkey. The massacre was so vicious families looking for their loved ones couldn’t identify the remains. 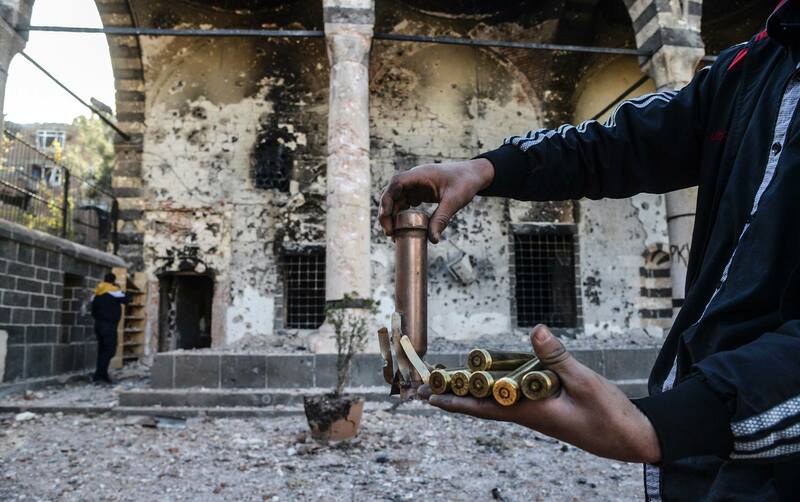 The slaughter signalled complete disregard by the Turkish government for Kurdish life. Erdogan’s response was seen as dismissive and insufficently repentant for the tragedy. On June 11 before noon, as I sat down at my desk to write this article, a few hundred meters away from my residence the police launched an operation to dismantle scores of barricades preventing entry of vehicles to Taksim Square and to remove the banners and placards on the defunct opera building and the Ataturk statute in the square. Those barricades were put up by Gezi Park protesters after June 1 when the police evacuated Taksim Square.Police forces, which had been an integral part of Taksim Square until May 31, have returned to Turkey’s social center and are working on restoring the AKP government’s authority over the square. As police operations continued to disperse the crowds at Taksim and Gezi Park, Prime Minister Recep Tayyip Erdogan was getting ready to call his own crowds into the streets as a response to the mass protests targeting him since June 1. The month of May has ended. Thirty days are left for the works of the Constitution Conciliation Commission. It must be determined what will be done at the end of this period. Will a new Constitution be formed? What are the other alternatives? Yesterday, as a group of journalists, we had a chance to listen to the reviews of the Peace and Democracy Party (BDP) commission representatives Altan Tan, Meral Danış Bektaş and Sırrı Süreyya Önder regarding these questions. BDP representatives think that it is not very likely that a full consensus will be reached in the commission. “Even if we negotiate for 10 years, we won’t have a consensus, still,” Altan Tan said. The Kurdish issue has not only occupied Turkey as an internal problem, but it has also gained importance through its relatively destabilizing impact on a global and regional scale. The most crucial reasons for the transition process which we are currently in are related to internal dynamics. However, in order to see the whole picture, we need also look at the global and regional dynamics of this development. In a period when the situation in Syria has turned into a global arm-wrestle and has heated tensions between the countries of the region, it became necessary that one of the tense elements be cooled so as to create a potential positive effect over the other tense elements. For this reason, it was required that a step be taken to enhance the environment of security and stability in a way that would have an impact on the international arena. Turkey’s Prime Minister Erdogan and his Justice and Development party (AKP) have a fundamental merit: putting an end to military dominance of the Turkish political scene by instituting an apparently moderate, non-ideological Islam, and coming to power through a free and fair vote in a democratic election according to universal values. But Erdogan seems to have failed to understand that his majority vote allows — and obliges — him to govern according to democratic rules. This would mean avoiding imposing drastic socio-economic and ethno-sectarian preferences on Turkish civil society. In a democracy, majority rule assumes and requires respect for the rights of all — including those who are not in the governing majority, and above all with respect and attention to the psychology and traditions of the various communities and trends within Turkish society and the regional ties of these communities. BROKEN heads, tear gas, water-cannon: it must be Cairo, Tripoli or some other capital of a brutal dictatorship. Yet this is not Tahrir but Taksim Square, in Istanbul, Europe’s biggest city and the business capital of democratic Turkey. The protests are a sign of rising dissatisfaction with Recep Tayyip Erdogan, Turkey’s most important leader since Ataturk. The rioting spread like wildfire across the country. Over 4,000 people have been hurt and over 900 were arrested; three have died. The spark of protest was a plan to redevelop Gezi Park, one of the last green spots in central Istanbul. Resentment has been smouldering over the government’s big construction projects, ranging from a third bridge over the Bosporus to a crazy canal from the Black Sea. But only after this first protest was met by horribly heavy-handed policing did the blaze spread, via Twitter and other social media. There is something almost comic in the way the missteps of the Turkish government turned a small demonstration aimed at preserving sycamore trees in Taksim Square from the developers’ bulldozers into the biggest and most widespread popular protest ever seen in Turkey. The Turkish security forces made the classic mistake of being pictured on television and social media publicly assaulting peaceable protesters with water cannon and pepper spray. Just enough violence was used to enrage and provoke while wholly failing to intimidate. A new language of freedom and democracy has been emerging in Turkey in the past decade. This atmosphere was created by removing the military’s influence from civilian life and politics and, recently, by opening roads towards peace between Turkey and its Kurdish citizens. The ruling Justice and Development (AK) Party deserves applause for these developments. But what the government has not realised is that the youth of this country, who are the main actors in Taksim Square presently calling for a more fully-fledged democracy, have not experienced military oppression. They know about it, but it was not an integral part of their life like it was for my generation, whose members were beaten up, tortured and murdered. Millions are in revolt in Turkey. Although the revolt is called the Gezi Park Resistance, it is no longer about saving trees and parks from the neoliberal capitalist governmental plan of urban renewal. Instead, it is a cry of millions of young people for more freedom and democracy. This is a historic protest of young people, belonging to different social classes, holding different sociocultural and political stands that have no political agenda other than the collective will to end state authoritarianism. It is also momentous due to its politicizing effect on millions of middle class urbanite young people who are often criticized as an apolitical digital generation by their elders. Although this uprising is mobilized and mainly consists of young people of different demographic traits, it is also supported and participated by people from all walks of life and different political stripes across the country. In May the Turkish state oil company agreed a oil exploration deal with the Kurdistan Regional Government (KRG) in Iraq alongside US company ExxonMobil. Iraqi oil resources are vast, but heavily concentrated in Northern Iraq under the administration of the KRG. That and the KRG’s relative stability has attracted many multinationals, and governments (Turkey, Iran, Lebanon, Israel) to the autonomous area. There has been increasing pressure on the KRG by the Iraqi Federal Government to stop all further deals and for all investment decisions to be made at the national level. The KRG have said if that happens they will seek a new basis for relations with Baghdad. Meanwhile the KRG say they are almost ready to launch their a new oil pipeline (a converted gas line) which will end their reliance on central government for exporting and potentially pave the way to self-sufficiency. 27. CENI Statement on the six-month anniversary of the Paris Assassinations: We demand Justice! 12 June 2013. 28. Lawyers’ associations rally around arrested colleagues in Istanbul, 13 June 2013. After the arrests on Tuesday of at least 47 lawyers at Caglayan Court in Istanbul who were issuing a statement regarding the Gezi Park protests, the European Association for Democracy and Human Rights (ELDH); the Bar Human Rights Committee (BHRC); and the Law Society of England and Wales have all issued statements in support of their colleagues. Read them here. This panel discussion will seek to show why the peace talks represent a historic shift in Turkey and why both participants deserve support as the consequences of failure would be disastrous for the country and the region. If parallels can be drawn with cases such as in Northern Ireland and South Africa, a fundamental component had been the willingness to bring the armed groups ‘’in from the cold’’ as both Sinn Fein and the ANC were involved in talks that succeeded in reaching mutually acceptable solutions to historic conflicts. It will be argued that the moment is now right to review the proscribing of the PKK as lifting the ban will contribute towards this vitally important peace process. Speakers include Gareth Peirce, human rights lawyer; Melanie Gingell, barrister Doughty Street Chambers; member of the Bar Human Rights Committee; Dr Ozlem Galip, researcher and lecturer, University of Oxford; Prof Dr Michael Gunter, Professor of Political Science, Tennessee Technological University, Secretary General of EU Turkey Civic Commission (EUTCC); Barry White, National Organiser of the Campaign for Press and Broadcasting Freedom, member of European Federation of Journalists (EFJ). Chair: Professor Bill Bowring, President of the European Lawyers for Democracy and Human Panel Rights (ELDH); International Secretary, Haldane Society of Socialist Lawyers. Venue: Garden Court Chambers, 57-60 Lincoln’s Inn Fields, London WC2A (closest tube Holborn). 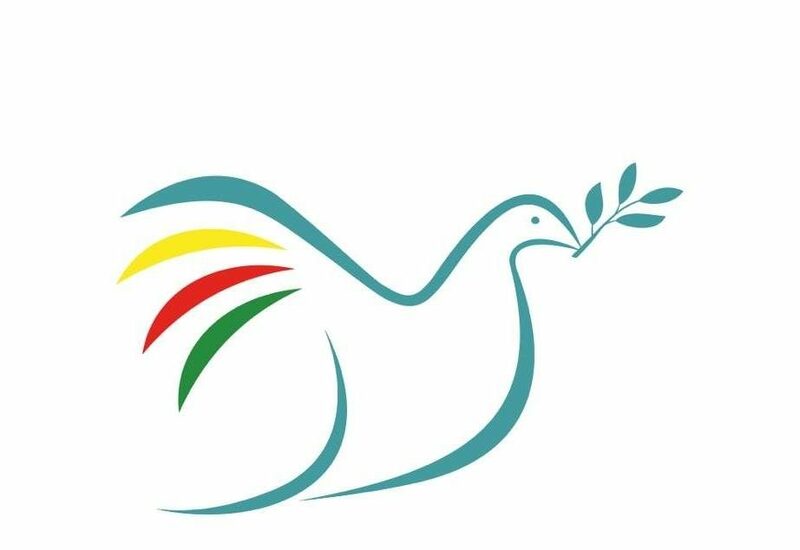 Jointly organised by Peace in Kurdistan Campaign, with the support of Campaign Against Criminalising Communities (CAMPACC), Haldane Society of Socialist Lawyers; Kurdistan National Congress UK, Kurdish Federation UK.